This is a project that began in January 2013 when organizers of the Mississauga Waterfront Festival approached the President about a joint venture. They were interested in partnering with the Mississauga Quilters Guild to create a community quilt. At the 2013 Waterfront Festival children used fabric paint to create blocks for the quilt. Members of the Guild then selected blocks from those created, chose complementary fabric, designed, pieced and quilted this quilt. All involved were very pleased with the results. 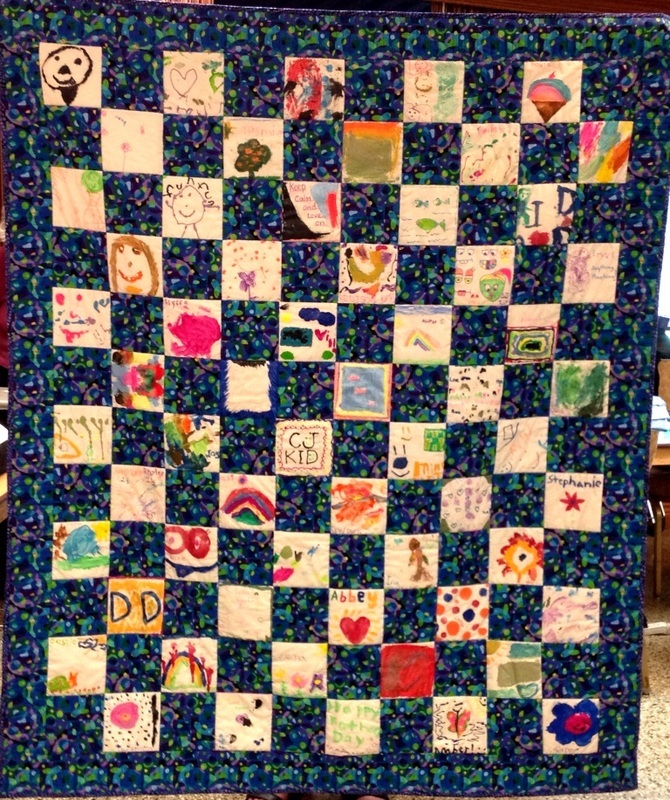 This quilt will be displayed at the 2014 festival. It was a wonderful opportunity for us to partner with one of our community groups.